PIERCE TOWNSHIP, Ohio February 3 2019– A Clermont County Sheriff’s Department detective was shot and killed during a 12-hour standoff that ended early Sunday morning. Initially, officers from the Pierce Township Police Department were called to 360 Saint Andrews Drive in Clermont County Saturday around 7 p.m. A man called police stating someone was inside his home and that he also had weapons inside. Pierce Township is approximately 25 minutes southeast of Cincinnati. The Clermont County Sheriff’s Department said in a statement that deputies responded to the apartment at On the Green at Royal Oak around 10:30 p.m. Saturday for a barricaded subject. The Clermont County Special Response Team and the Cincinnati Police Department’s SWAT responded. A man told a 911 dispatcher he was armed and suicidal, according to the news release. 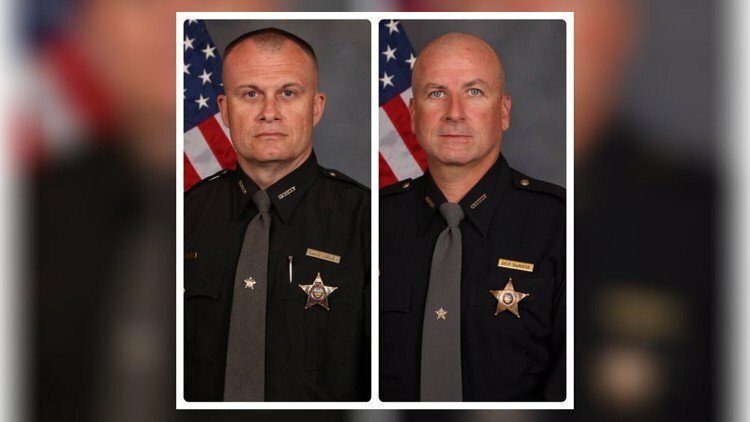 Clermont County Sheriff Steve Leahy said in a statement that 20-year-veteran Det. Bill Brewer died at a hospital after being shot. Lt. Nick DeRose, a member of the sheriff’s department for 22 years, was shot and taken to a hospital. DeRose has since been treated and released. Around 6:30 a.m. Sunday, police took 23-year-old Wade E. Winn into custody. Shortly after Winn was taken into custody there was a fire at the apartment building. 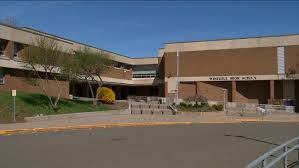 There is considerable damage to the primary building involved in the standoff. Members of the American Red Cross were on hand to assist displaced residents. Brewer is survived by his wife and 5-year-old son. The Ohio Attorney General’s Office and the Ohio Bureau of Criminal Investigations and Identifications is handling the ongoing investigation. Ohio Attorney General Dave Yost released a statement Sunday morning. The Clermont County Prosecutor’s Office has not announced preliminary charges against Winn.